Lake homes offer a beautiful retreat from the business of everyday life. It provides a way to relax and rest. However, it does not just happen. You must put a little work into your personal haven and that includes the landscaping. If you are lacking idea for your home, then this list will serve you well. The vanishing pool edge is a serene and classy look when you have lake front property. The purpose of this is to build a pool that seems to just continue on into the water of the lake or ocean. It offers elegance and simplicity with the allure or having the entire lake in your property. It is also a great idea to plant a beautiful garden on the sides of the pool to offer an even more peaceful and gorgeous way to relax the day away. Having a beautiful patio is key to offering a beautiful landscape to your property. Having mosaic tile art work installed for the patio will add to the elegance of the landscaping. Plant colorful flowers and place on the patio and a garden to match around the edges. Make sure the flowers match the accent colors of the art work in the tiles to pull it all together as a large, majestic relaxing area. 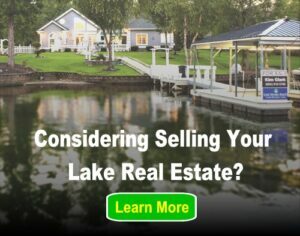 If your property slants towards the water, then there are so many options on beautiful visuals that you can use to create a wondrous landscape for your lake home. You are able to install steps into the slope to make them natural. Ensure that you line them with rocks to show the path down, and incorporate a handrail for safety. Embed small flowerbeds into the slope and maintain the grass length. It will offer a beautiful, precise natural way to the lake with a breathtaking appeal. Having a fire pit build to place in the landscaping is not only beautiful, but it is a functional piece of the ambiance. You can have it pull in the surroundings by choosing a great color of brick. Adding in outside flowerpots with large plants is a wonderful idea to add in greenery on the patio. Plant large greenery on the sides of the patio, it will help create a great flow from the patio to the land. Another amazing landscaping idea is to build a balcony over the steep slope of your land. You can use natural toned bricks. Add a fire pit in the middle. The most beautiful nature balconies are those that have greenery in pots on the balcony to help incorporate the scene. It is breath taking and will offer a relaxing area to enjoy your time. Your landscape is important to the ambiance of you home. Putting special care into the view of the outside will add value and offer you a better place to entertain guests and relax.